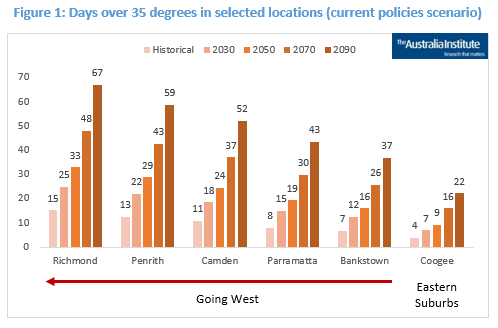 Western Sydney could be sweating through as many as 24 days above 35 degrees a year by 2050 if the world fails to transition to a low emissions economy in the near future. The region is currently experiencing 11 days on average above 35 degrees, which is the temperature that sweating becomes less effective, leading to a range of health impacts, including fatalities. 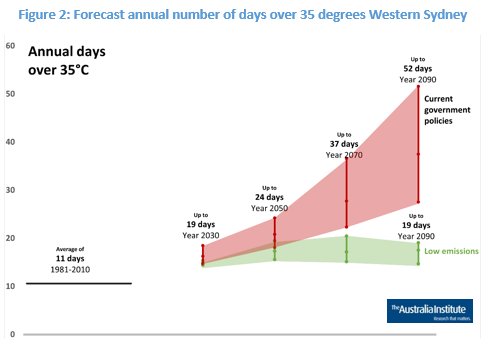 According to the HeatWatch – Western Sydney report from The Australia Institute, which uses CSIRO-BoM modelling, by the turn of the century this situation will look drastically worse – there could be 52 days over 35 degrees by 2090. Of the different suburbs, Richmond is likely to fare the worst. 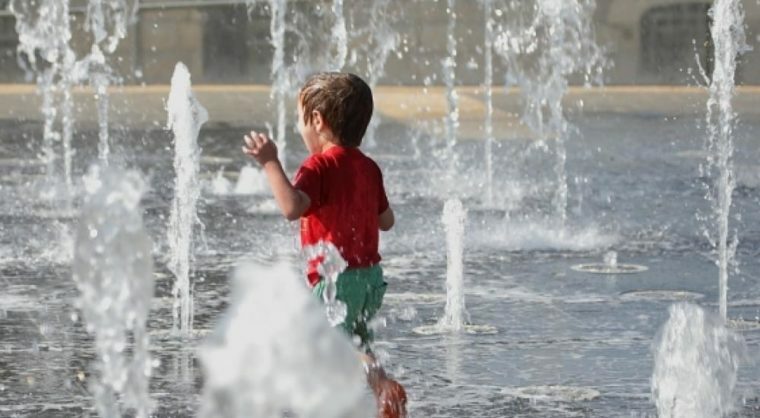 The report expects 67 extreme heat days by 2090. But it’s entirely possible to beat the heat. According to Richie Merzian, climate and energy program director at The Australia Institute, the modelling shows that if emissions are significantly reduced “we can prevent virtually all of these rises”. With a “decisive reduction in emissions” the number of extreme days could be kept to 19 days per year by 2090. This is around a third as many days as expected under a “business-as-usual scenario where the world fails to act decisively on climate change”. Not only are these extreme temperatures a threat to human health and productivity, it can also cause roads to melt and railway tracks to buckle. The report said that western Sydney is “particularly vulnerable” to infrastructure damage caused by heatwaves due to the long commutes for people living in these areas. Coal and gas power stations are also particularly vulnerable to extreme heat. “NSW’s old coal power plants regularly break down in heatwaves, increasing the risk of blackouts. If this happens, Sydneysiders may find themselves without air-conditioning in the sweltering heat,” Mr Merzian said. One of the big contributors to western Sydney’s hot days is the Urban Heat Island effect, where urban structures such as buildings, roads and pavements and roofs absorb heat in the materials during day and then release heat at night, which increases night-time temperatures. The report said that the Urban Heat Island effect is one of many reasons western Sydney gets so hot. 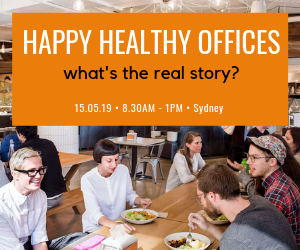 It also misses out on the coastal breezes that the eastern suburbs of Sydney experience. The Blue Mountains to the west also traps hot air in the region, according to the report.